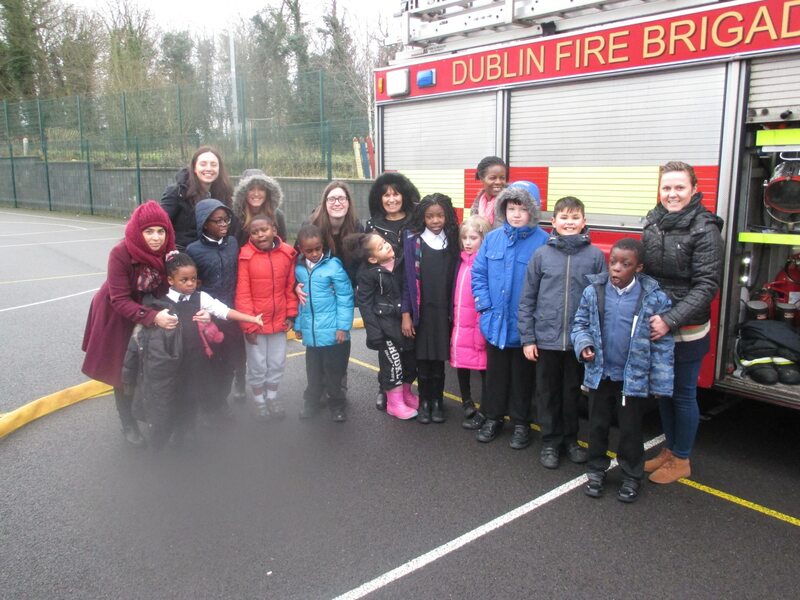 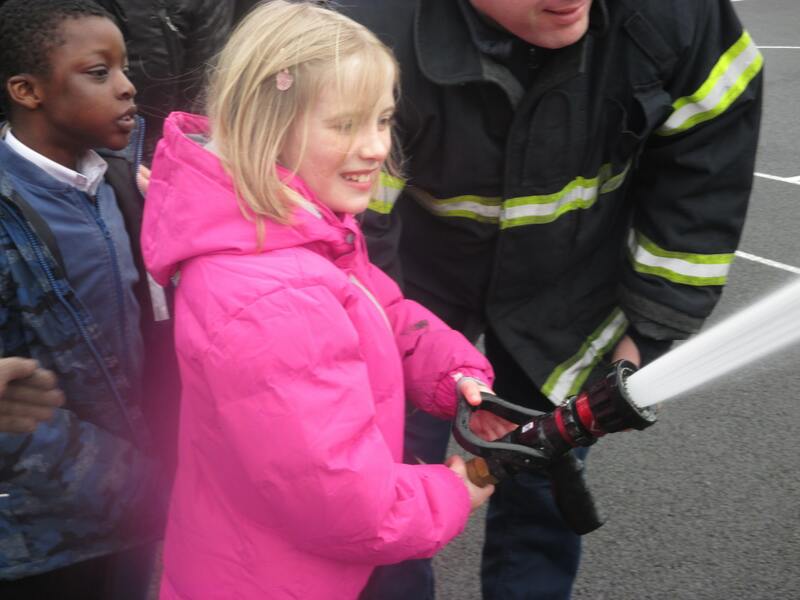 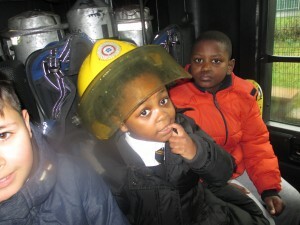 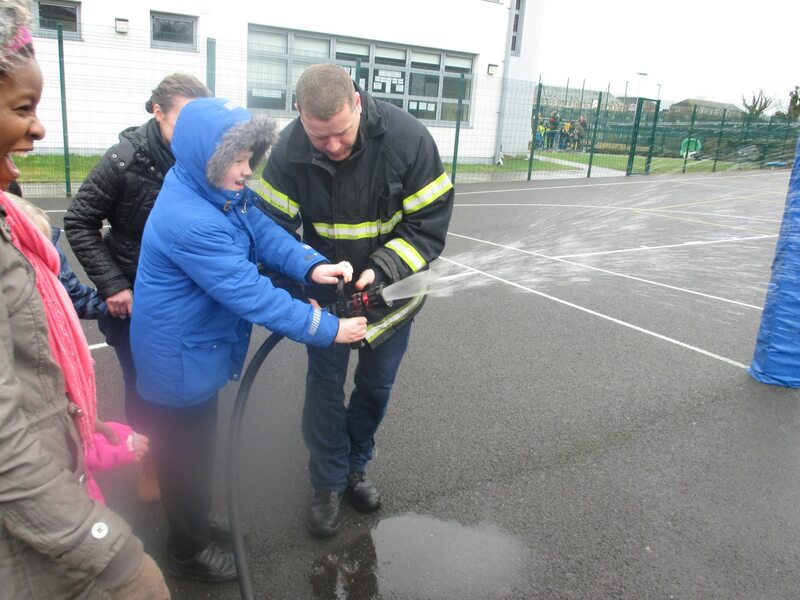 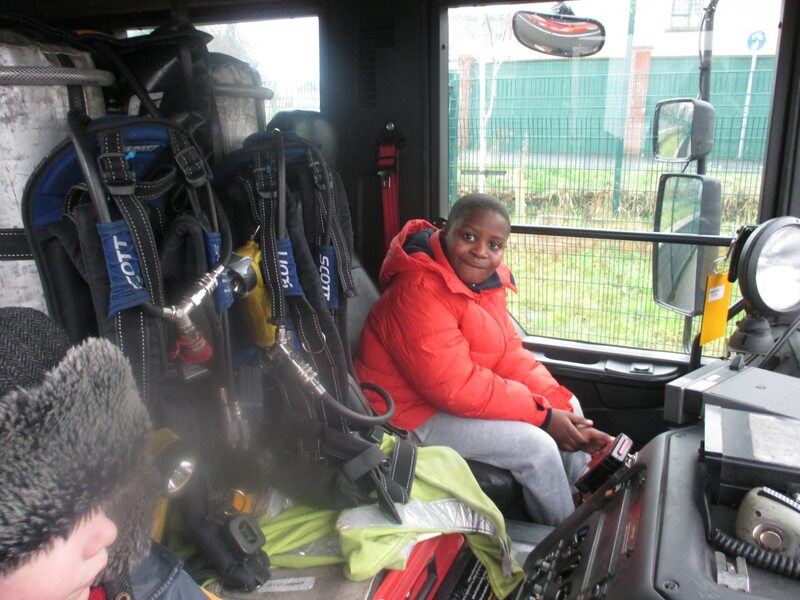 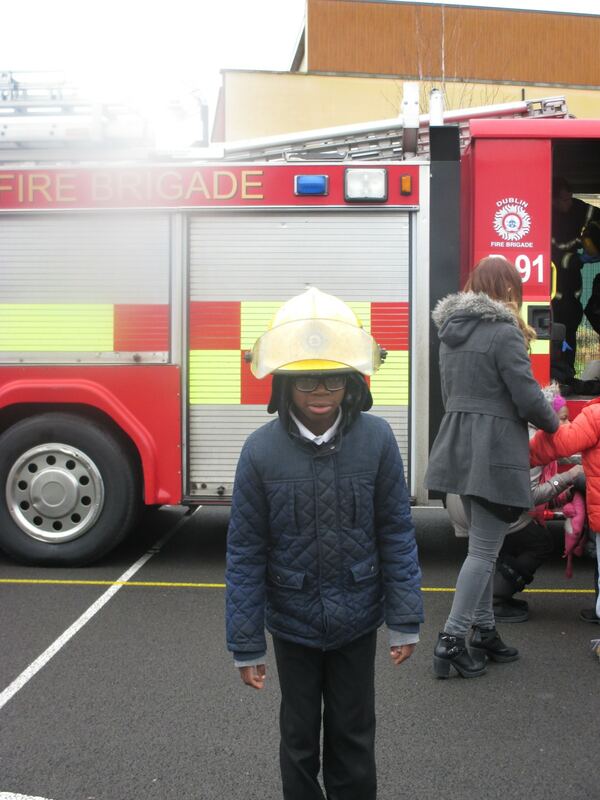 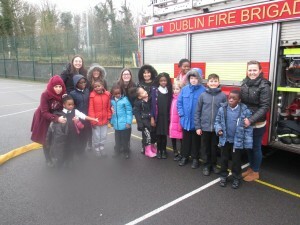 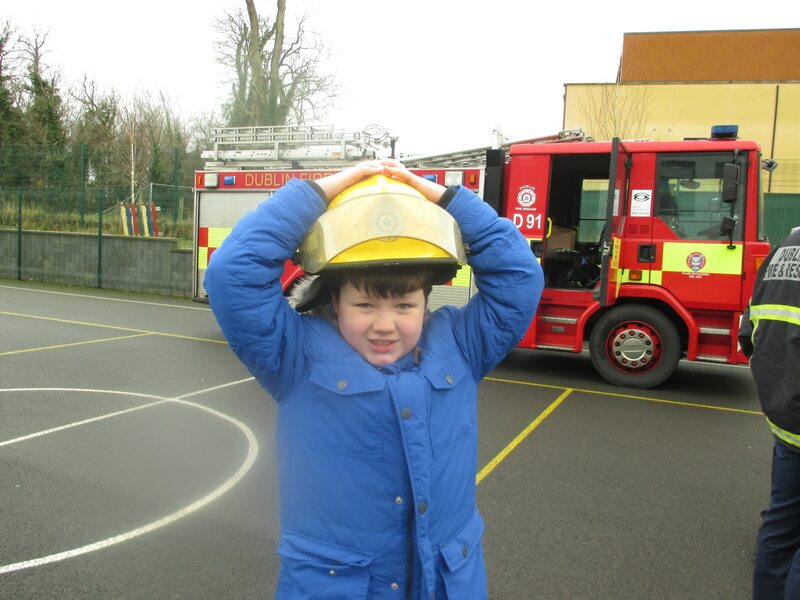 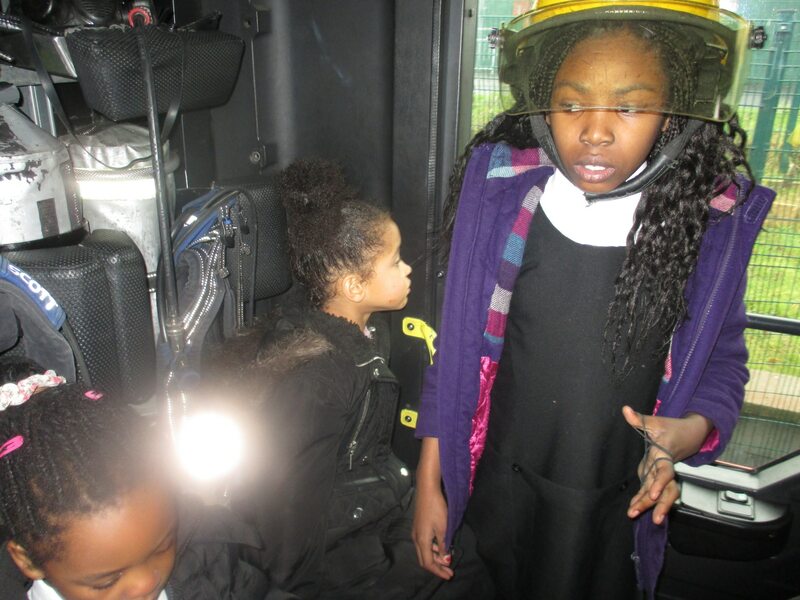 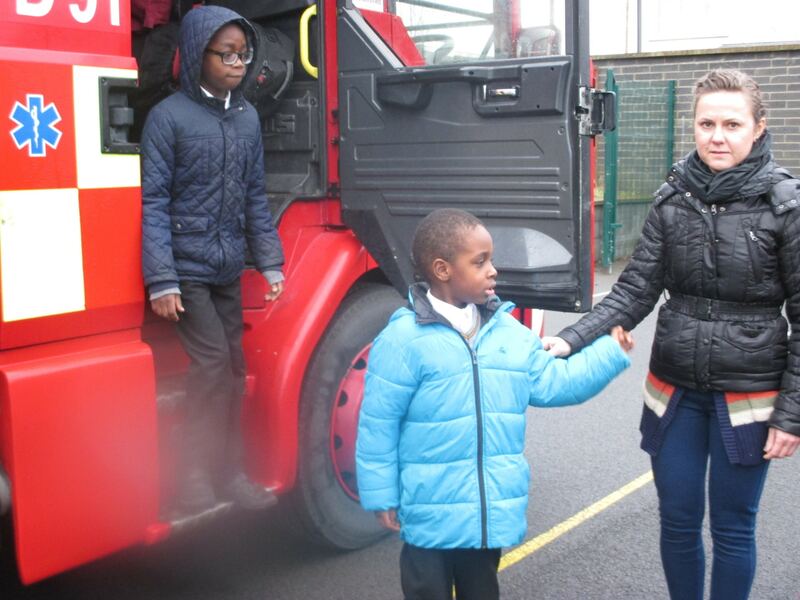 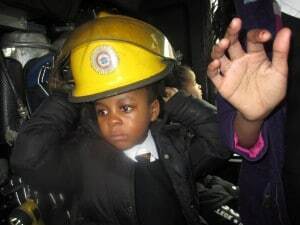 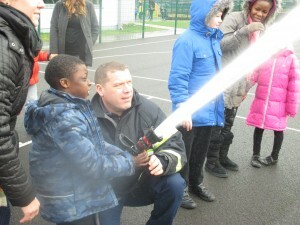 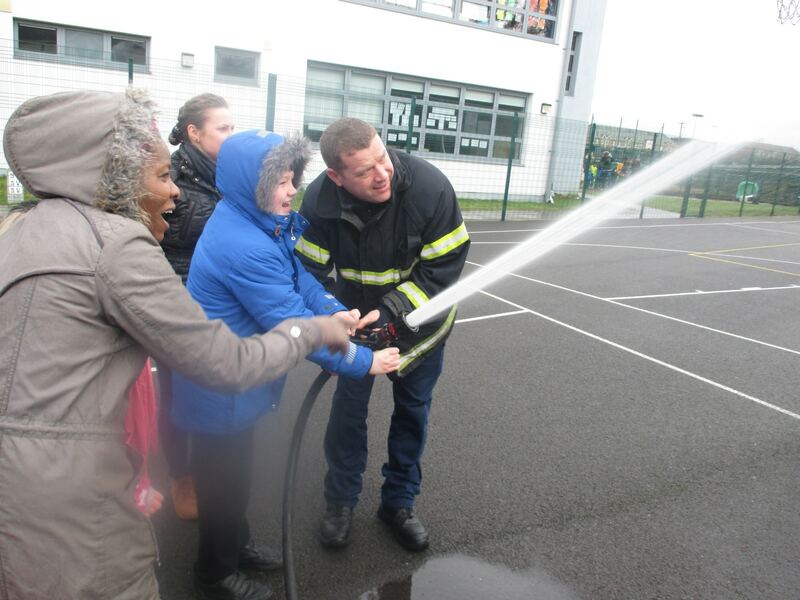 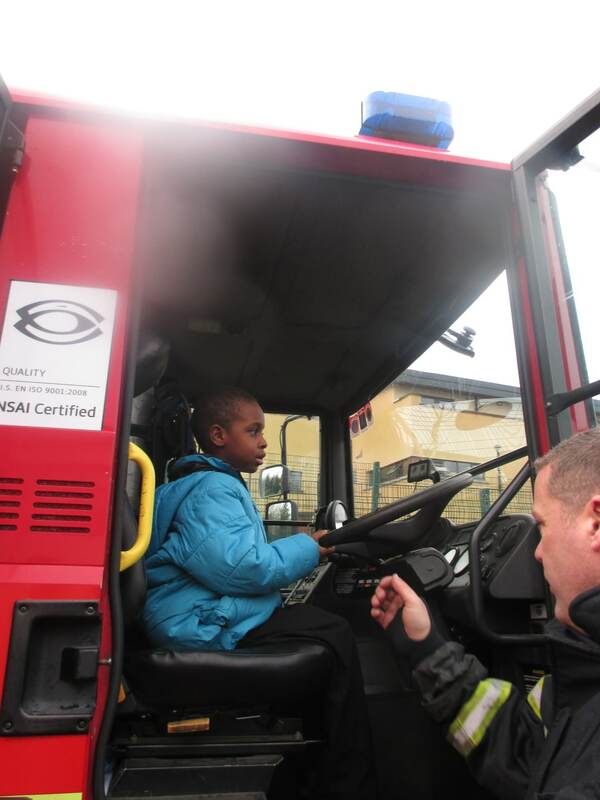 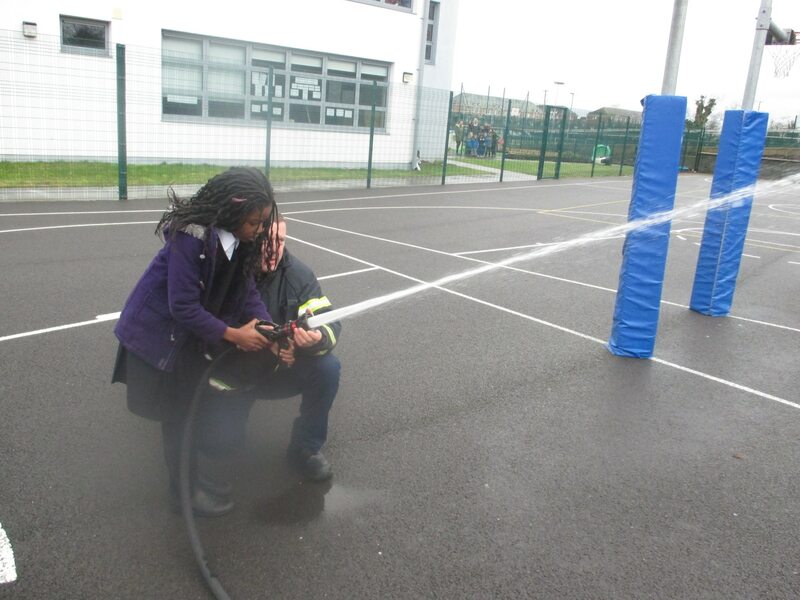 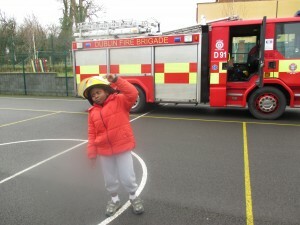 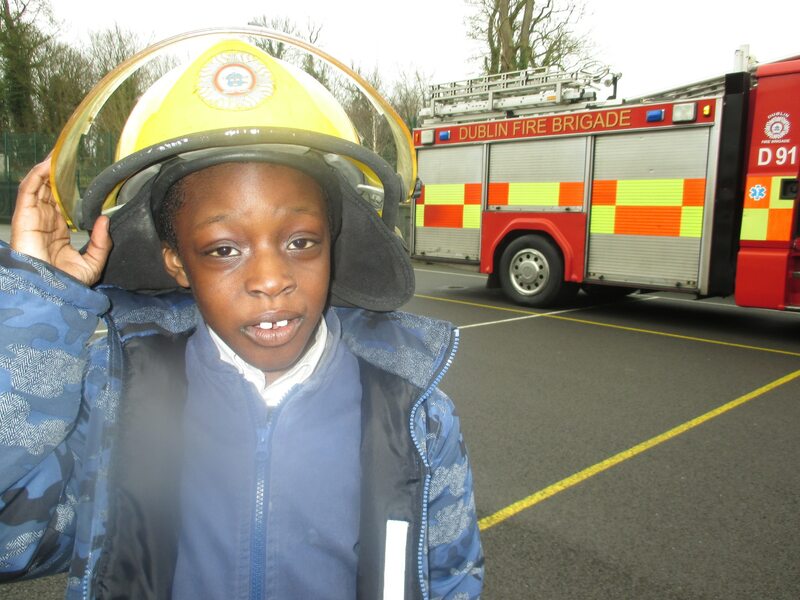 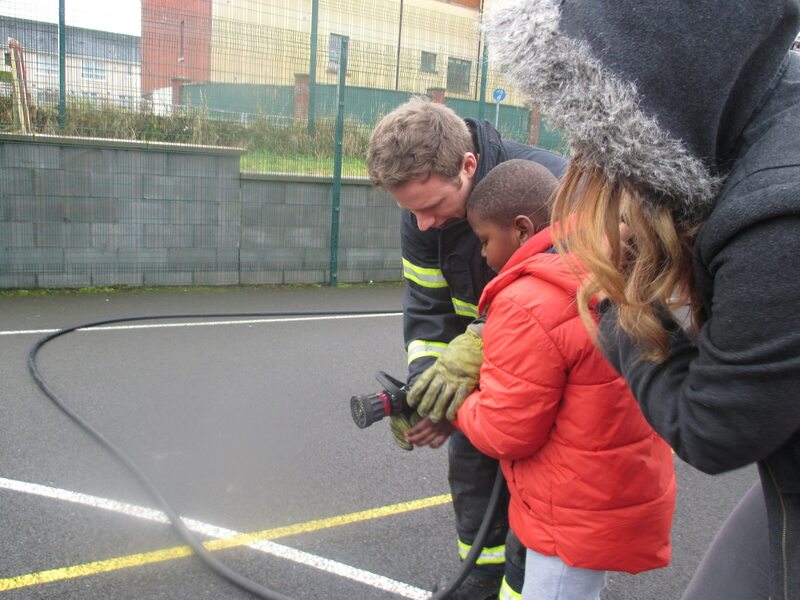 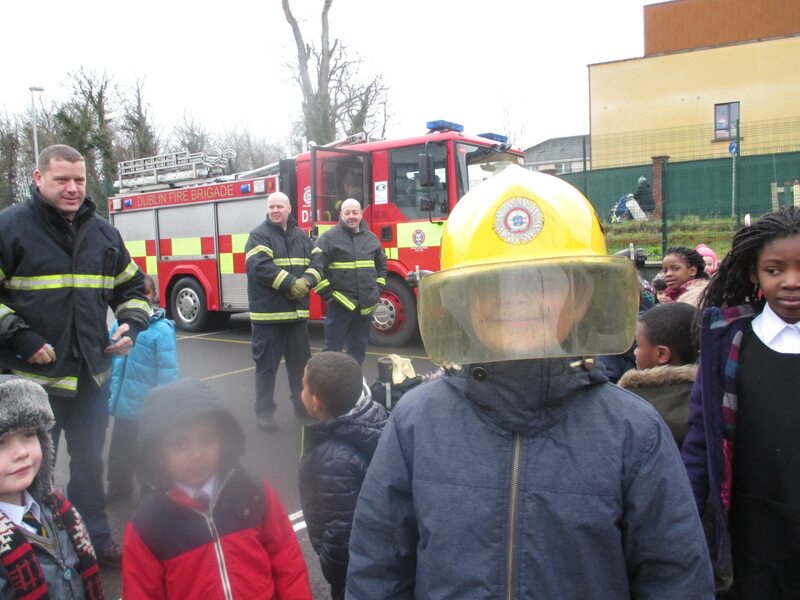 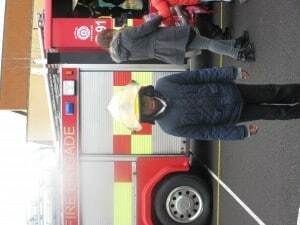 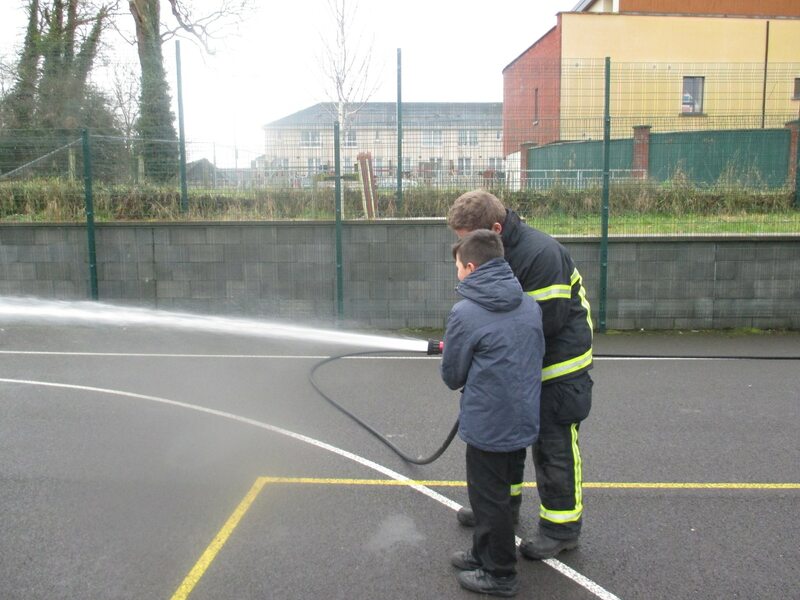 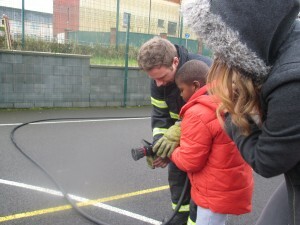 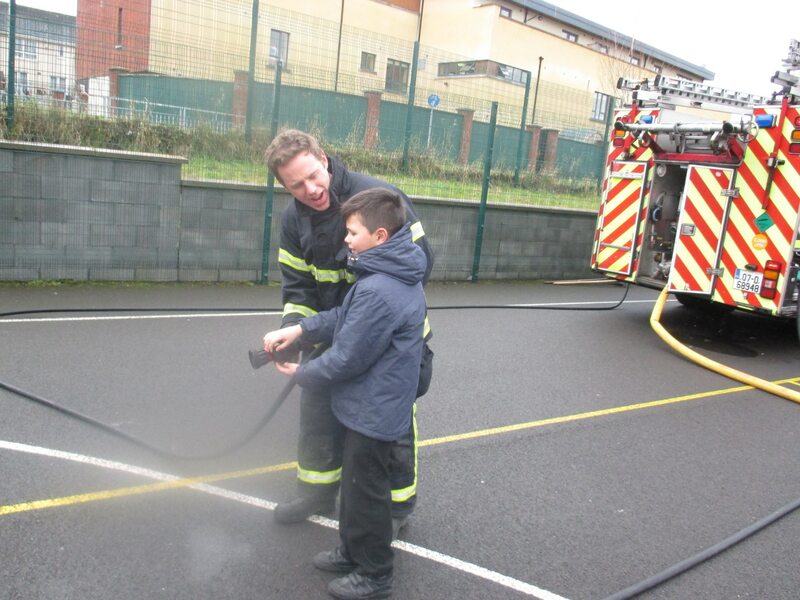 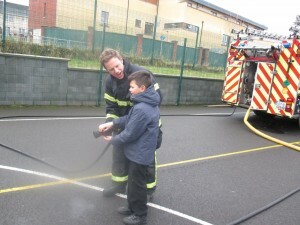 In Croí, we were very excited about our recent visit from the fire brigade! The fire engine arrived with flashing lights and sirens. The firefighters were so friendly and they showed us all the equipment that they use to stay safe and put out the fire. 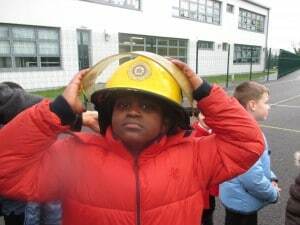 We got to try on a fire helmet and a fire jacket. 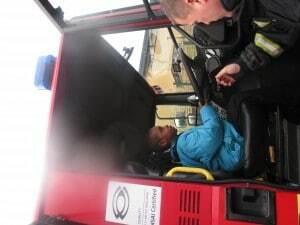 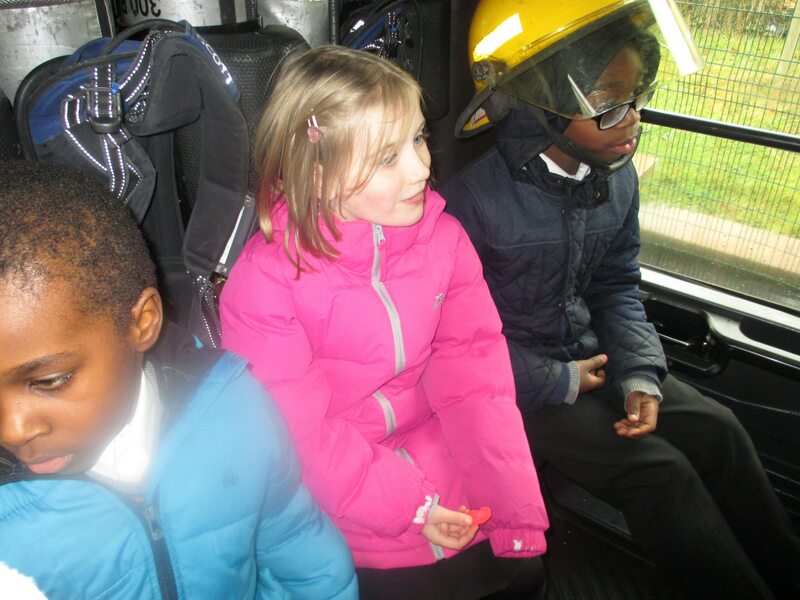 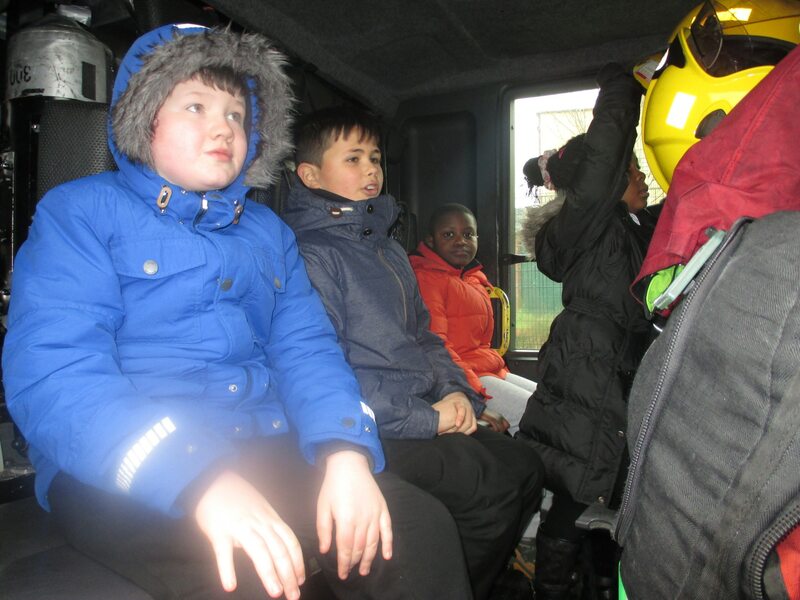 We each got a turn to sit in the fire engine. 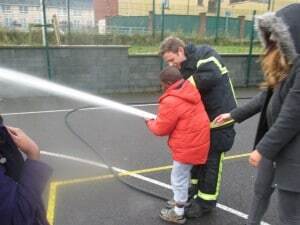 The most fun part was spraying water from the fire hose.